﻿ Hand Drawn Vector Abstract Modern Cartoon Happy Valentines Day Concept Illustrations Card With Cute Cat And Handwritten Modern Ink Calligraphy Text February 14 Isolated On White Background. 로열티 무료 사진, 그림, 이미지 그리고 스톡포토그래피. Image 116198992. 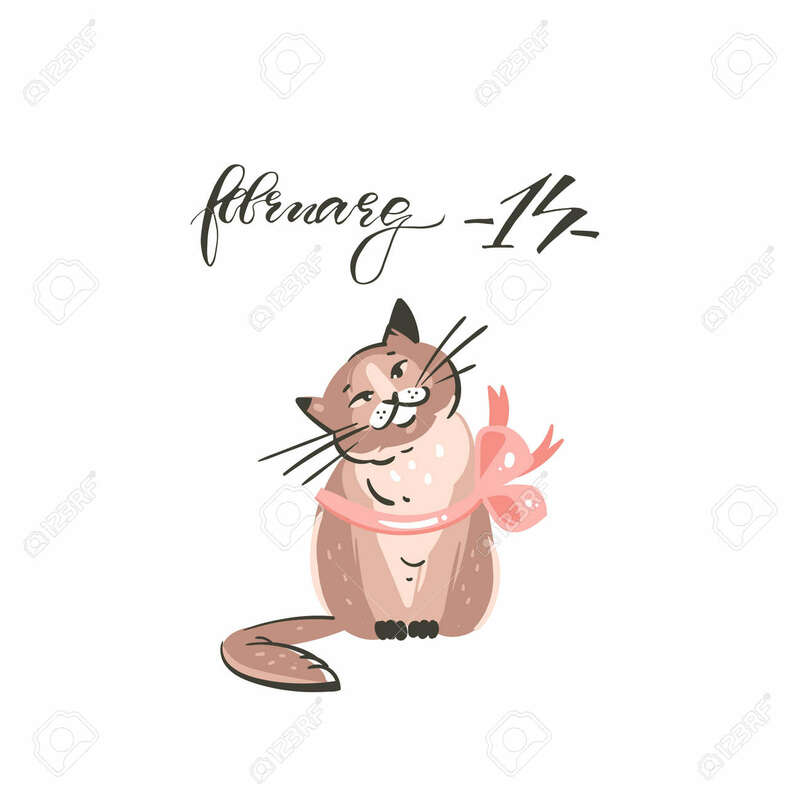 스톡 콘텐츠 - Hand drawn vector abstract modern cartoon Happy Valentines day concept illustrations card with cute cat and handwritten modern ink calligraphy text february 14 isolated on white background.